Registry First Aid Platinum 11.0.2 Build 2455 Portable ~ Apps2Portable | Free Portable Apps for PC ! Registry First Aid scans and corrects registry errors. Your Windows registry will be always clean and correct. Registry First Aid scans registry for orphan file/folder references, invalid font references, obsolete Start Menu items, invalid fonts, shared DLLs, application paths and more… Registry First Aid – keep your PC fast and reliable! Registry First Aid scans the Windows registry for orphan file/folder references, finds these files or folders on your drives that may have been moved from their initial locations, and then corrects your registry entries to match the located files or folders. In addition, if your registry has links to files of deleted applications, Registry First Aid will find these invalid entries and remove them from your registry. With Registry First Aid, your Windows registry will be always clean and correct, helping your programs load faster and speeding up your computer. 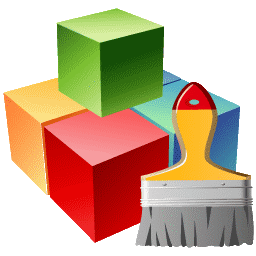 Not all software un-installations do a complete job leaving behind numerous nagging file references in the Windows registry pointing to files that no longer exist. In time, you can end up with hundreds of these files that may slow down your computer and cause software to lock up, requiring a hard reboot of your computer. Also, if you’ve moved your programs from one drive to another, you can break the file links that a program needs. Registry First Aid will find these files and folders that you’ve moved on your hard drive and help you correct the registry entries that point to them. Platinum version also allows to control auto-run programs, installed software, “Open With..” dialog, Browser Helper Objects (BHO), Internet Explorer menus and toolbars.